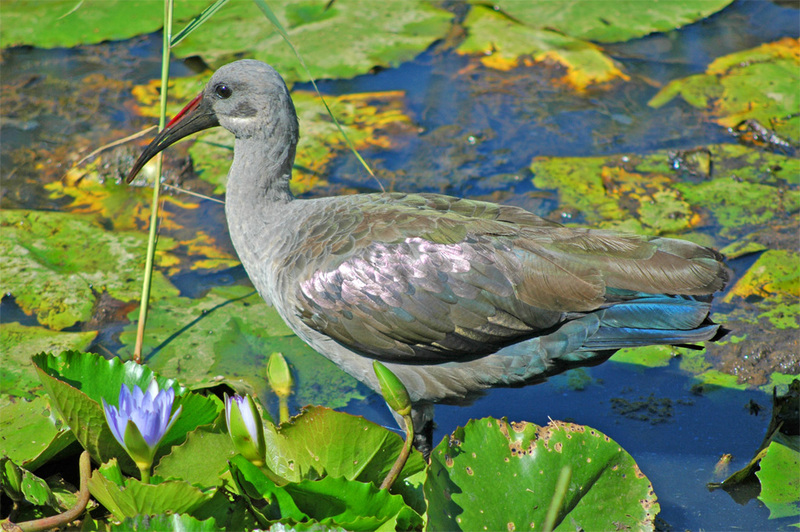 A selection of birds you will find in and around Plettenberg Bay. Now and again a kingfisher pay us a visit in our garden. 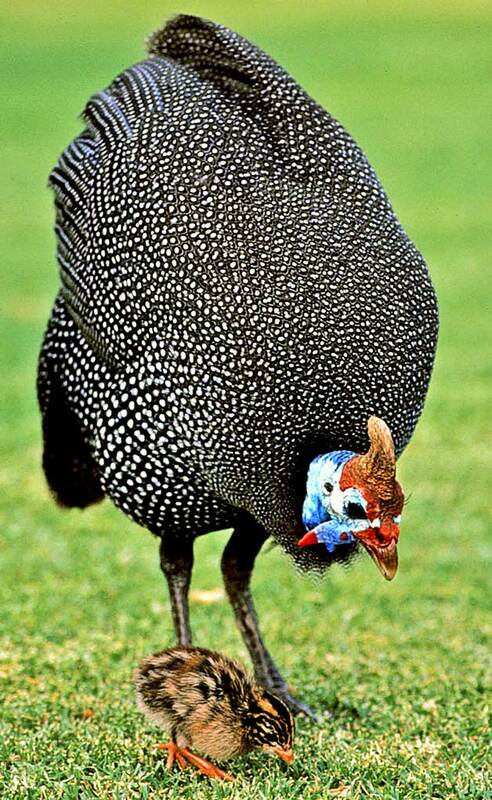 A blue helmeted guinea fowl with its chick. Blue helmeted guinea fowl running free and they visit also our garden. 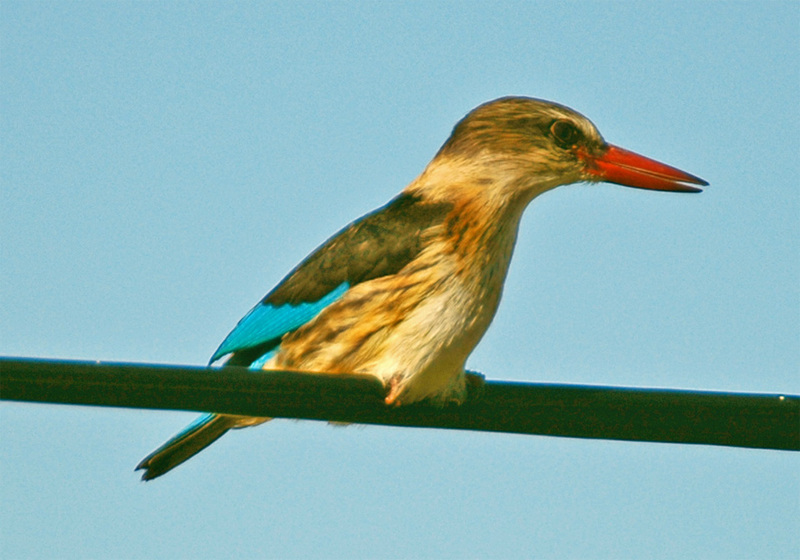 A Hadeda with its long beak. Hadedas can unbelievable loud screech and they wake you up at sunrise. 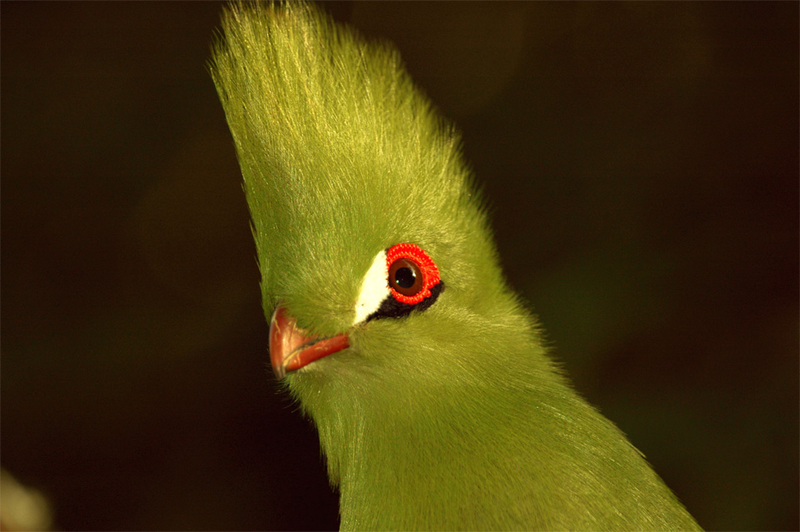 The Knysna Lourie has got a blood-red plumage at the underside, unfortunately you see it only if the Lorie fly. 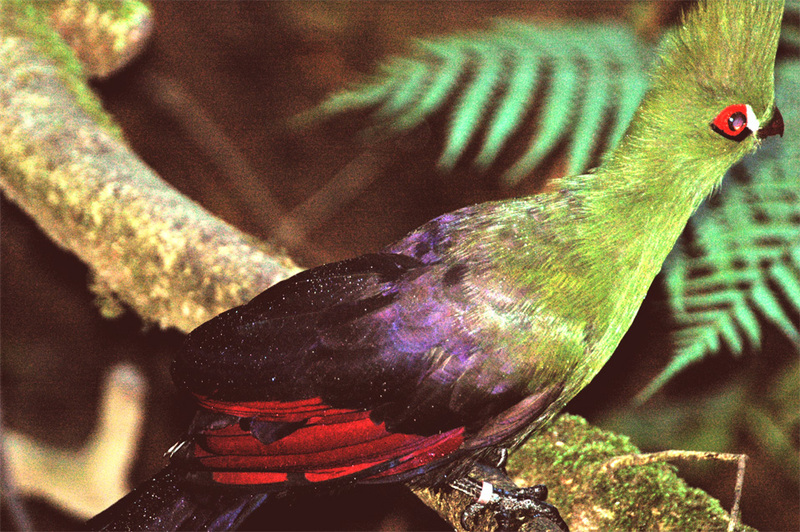 A colourful Knysna Turaco or Knysna Lourie. 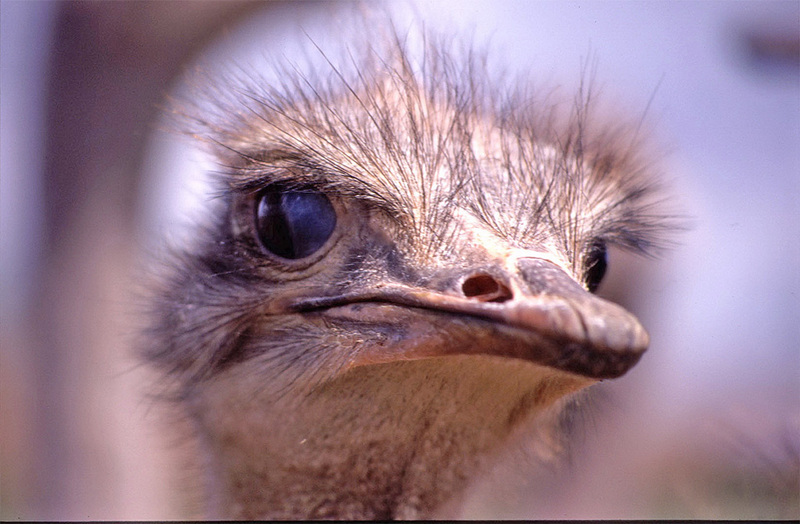 We all know him the bird called Ostrich. 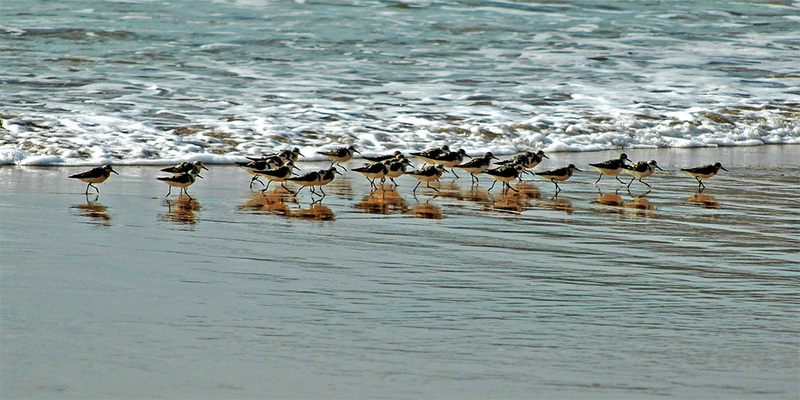 Sanderlings searching for food at the ocean.